Today at its WWDC event, Apple unveiled a number of updates coming to its Safari browser, including social browsing via shared links, and an improved homepage interface. Safari has suffered in recent years at the hand of Chrome, Google’s rival browser that has hoovered market share from Internet Explorer, Safari and Firefox. 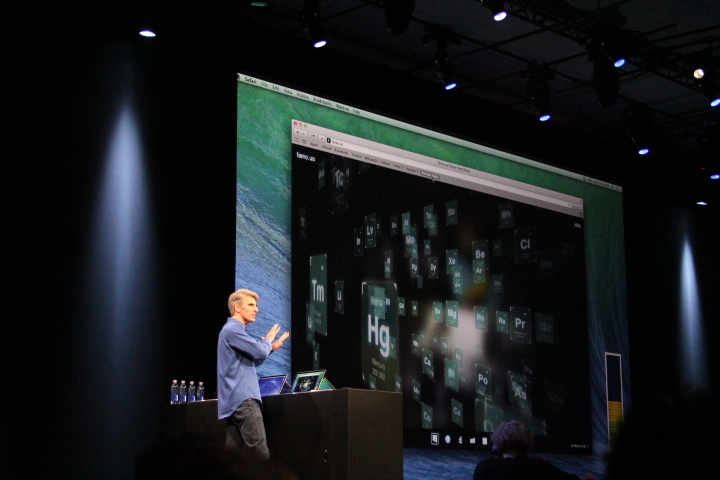 Webkit, the foundation of Safari, is used by 1.5 billion machines now, according to Apple. Google, however, is moving away from Webkit, which means that number should stagnate and decline in the coming years. New in Safari is a sidebar with a reading list, and a new top sites homepage interface. The Shared Links section of Safari shares links with people you follow on Twitter. They are collected into a single stream in Safari’s sidebar. Also new in Safari — the version coming in OS X Mavericks – is ‘App Naps,’ which allows for lower-power consumption when Safari is not in the foreground. There’s more coming down the pipe, so hit the link below to stay up to speed.